An excellent album that's well worth a listen. 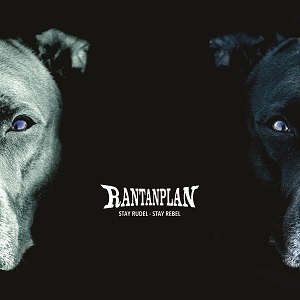 Rantanplan are a German ska-punk band. Formed in Hamburg in 1995, they’ve had various lineup changes over the years and now the only remaining original member is Torben Meissner (vocals/guitar). This is their tenth album. Prior to being sent this album to review I must admit I’d never heard of the band before, so watched a couple of videos on Youtube and that was enough to make me want to listen to the album. If you’ve never listened to ska-punk before and don’t know what to expect, a simplistic description would be a punk band plus a brass section (trumpets/saxophones). There’s a bit more to it than that as it takes ska music and fuses it with punk, but the brass section is the most visible part. I can’t really say much about the lyrics as they’re in German – a language I don’t speak. It’s not a problem though – it’s still a great album to listen to, and Rammstein have proved that the language barrier doesn’t have to be a problem. The music though is simply fantastic – it’s loud, heavy, melodic and full of energy, in fact it’s the perfect sort of music to get people at a gig up and moving. An excellent album that’s well worth a listen.